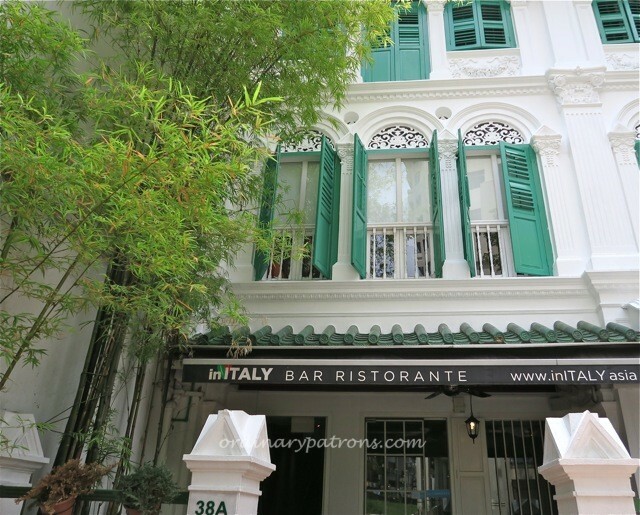 We had lunch at inItaly, an Italian restaurant located on the ground floor of this beautiful preserved shophouse along Craig Road. The clump of bamboo outside really adds to the beauty of the exterior. In contrast to the intricate features of the exterior, the interior was quite basic. 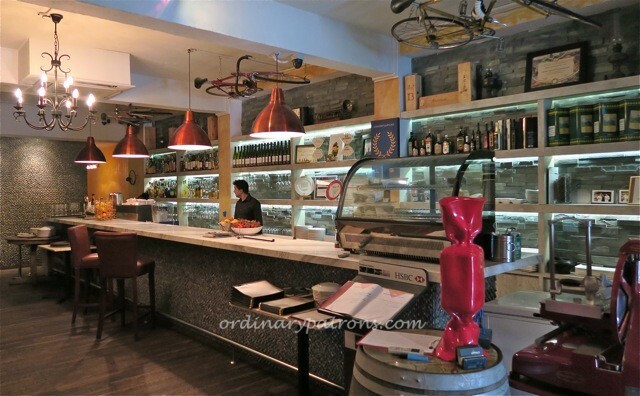 A fairly large dining area faces a long bar counter and a large display of beverages. 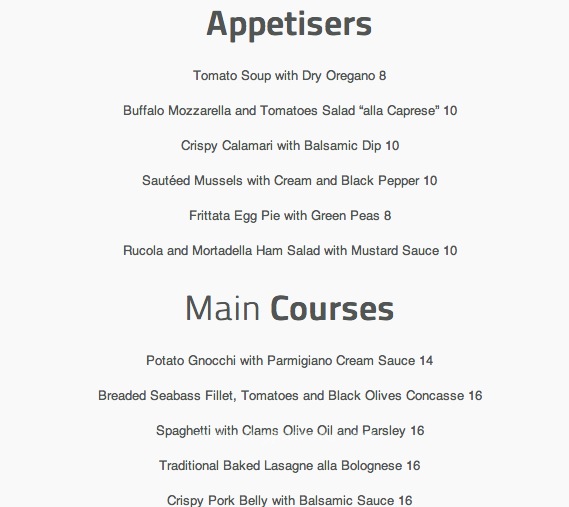 At lunch time, the regular menu is supplemented by a lunchtime menu. 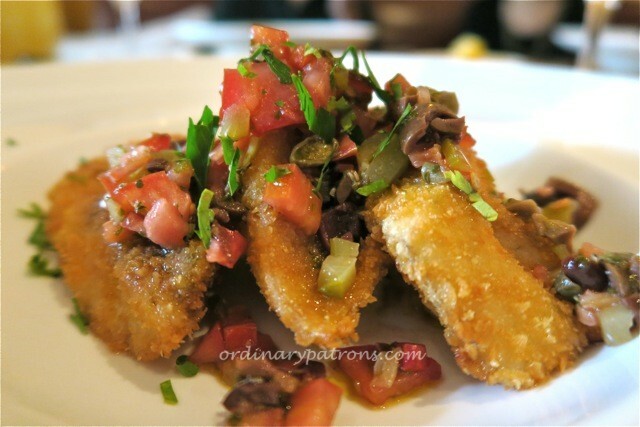 We ordered the heirloom tomato salad ($19) from the main menu and a crispy calamari ($10), breaded seabass fillet ($16) and crispy pork belly ($16) from the lunch menu. 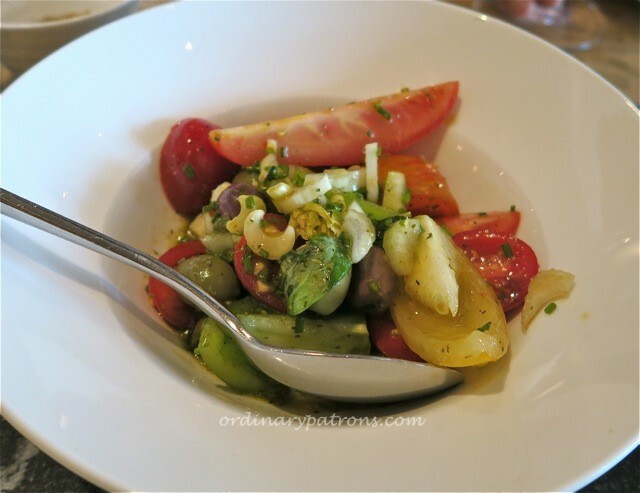 The salad was made with a few types of tomatoes. It was a refreshing dish but a bit pricey. The seabass was fresh and fried just right – best dish of the day. 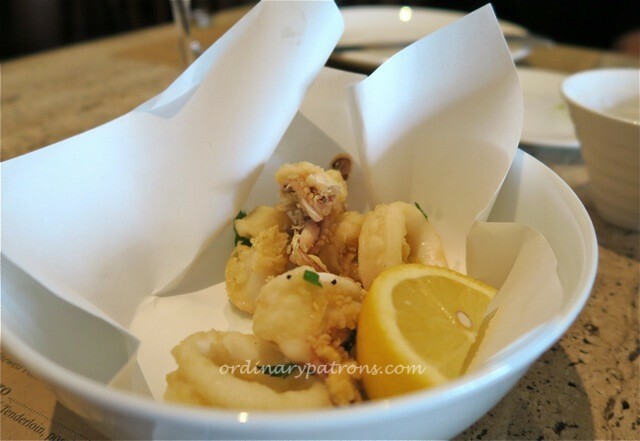 The calamari was ordinary and the portion was small. 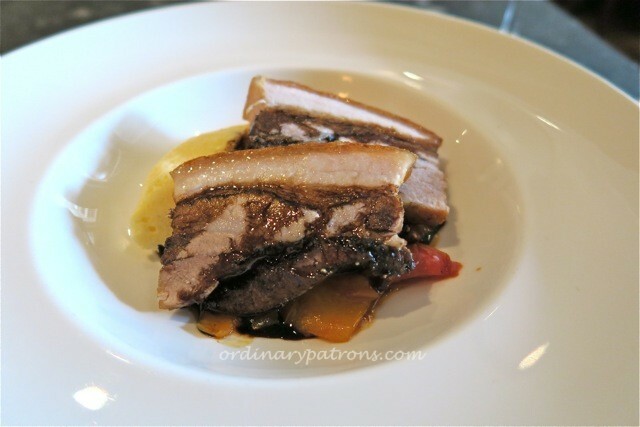 The crispy pork was, unfortunately, not crispy. The skin was more chewy than crisp. All in all, it was a day of a hit and misses. Another thing we felt was missing was that despite its name, we did not feel that we were in Italy. 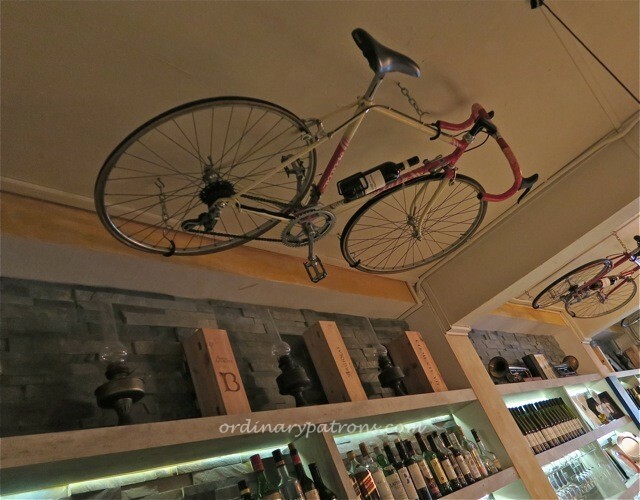 The sense of warm hospitality that Italian restaurants are known for was something we missed.